Is there anyone with access to the internet who has never heard of Facebook? My bet is no. Facebook is the largest social network in the world and among the top three most visited websites in the world. Chances are that almost every work at home contractor or entrepreneur has a Facebook account used to interact with friends and make new ones. But Facebook has a reputation for being the greatest time waster for most workers – even those working out of offices. Facebook, for most people, has become an integral part of life, but do work at home contractors need to have it, or can they turn it into a marketing and a business tool? Facebook’s mission is to make the world a more connected and open place and to grant people the power to share. Based on this, how can a freelancer turn this ‘weapon of mass distraction’ into a weapon of work or career enhancement? As of September 2012, there were slightly under 170 million Americans on Facebook, that accounts for 55% of the American population! Statistics also show that almost one in every seven people in the world are signed up on Facebook, and they are not just signed up, Facebook plays a significant role in their lives. The average Facebook user spends about 6 hours in a month going through Facebook posts, playing games and using the many applications for work, interaction and fun. With these numbers, it is hard to overlook the importance of this social networking tool. It is also safe to assume that a greater percentage of a prospect and employers or clients for a freelancer are on Facebook. As a work at home entrepreneur, you can make use of Facebook to make new clients, connect with current ones and get advice and tips from other work at home professionals on Facebook. If you are a beginner or an old-timer, you will find Facebook an invaluable tool to promote your services and products without going through all the trouble of setting up a website or spending money on SEO and linkbuilding. Many freelancers and independent contractors overlook Facebook or assume that it is a tool to make only non-business related connections. If you are already on Facebook and have family, friends as well as business connections, it is essential that you use them to launch or advance your work at home career. Someone has got to know someone who could use your services, and you would be surprised some people you know may actually need your services as well. Be open on Facebook about the work you do and do not fear advertising or inviting friends to help you spread word. Just the way you may be using Facebook to reach to clients and boost your career, prospective clients also use Facebook to look for talent and service providers to advance their businesses. Serious businesses today cannot afford to ignore the importance of social network in advancing their prospects and hiring talent, and unless you are on it, you risk losing out. This is because more people are familiar with Facebook – in fact, for businesses, not taking business to Facebook is like being out of business. The good thing about connecting with clients on Facebook is that it build prospects on a personal level and when done right, creates a reliable rapport channel to engage with clients better. When prospective clients meet you on face, you will present yourself as an approachable and more readily available and service provider or independent contractor. Some independent contractors believe that Facebook dilutes the entire concept of marketing and that there are better tools to use such as Twitter and LinkedIn. 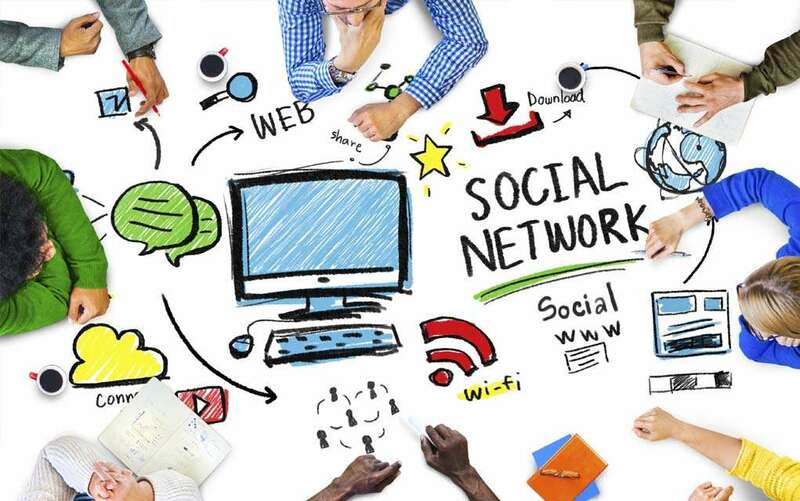 Most of these individuals have not managed to erase the thin line between social networking and networking for business. A good entrepreneur needs to build a community around them and foster an engagement with clients and other service providers in more than one place. This means there is no harm in building a circle of business around you on Facebook, Twitter, LinkedIn and having a blog as well. If you work at home over the internet, you must read a lot of blogs and follow hundreds of individuals on Twitter. People are different and success in the ever changing business and working environment means that for a person to be on top of the changes they have to get information from all sources. By liking the right pages on Facebook, subscribing to the right updates and using any online tool you can find to market your ideas and your business, you will essentially be broadening your prospects and engaging more with people who will help you develop your career or business. Joining Facebook groups of people with similar interests, occupations and ideas is one of the most useful uses of this online social tool. Facebook is essentially designed for networking, sharing and discussion – it is the best tool ever to connect with people who do the same thing you do, learn more about their work and compare them with yours, collaborate on tasks and projects and even create a referral network. Working at home can at times be very lonely and since you do not have a workplace to interact with workmates and chat away about the day’s work and industry changes, Facebook groups are the closest you can come to learning from others, connecting with them and getting support. Facebook helps you reach a large base of target audience with minimal effort – especially for work at home entrepreneurs who do not have too much time for connections. To market yourself effectively on twitter, you need to make between 100 and 500 tweets every week. To sell your brand or name on a blog, you will need to write between 5 and 10 blog posts every week in the least – each with a minimum of 250 words. As you can see, one post on Facebook reaches a wider audience than 100 on twitter or many blog posts. Facebook, it is safe to say, offers a greater return on little effort. How is Facebook a bad idea? Facebook can be a time waster. Many people, especially for entrepreneurs with growing businesses, do not use Facebook for business. Facebook can drain one’s productivity. Checking your Facebook updates during business hours is not a good idea for most people because it is very easy to be sucked into viewing friends’ pictures, chatting with former colleagues and before you realize it, an hour later you could still be ‘socializing’. Work at home freelancers who are trying to manage their time on social networks or have addictive personalities should avoid Facebook to save time. Once you set up a Facebook account to use for business, it will not be so easy to maintain if you want to have an active profile to use for business. An active profile needs regular updating, preferably at least once a day, but with as much as an hour every day interacting with followers and friends and reacting to comments and shares. Do not assume that you will have a successful social marketing or effectively promote your services just by updating a status and sharing a link then logging out of Facebook. You will need to demonstrate your passion and humane side by liking and commenting on your friends’ post and links and reply to what they say on their or your posts. As you grow a larger network on Facebook, so does your network grow. If you have work related or career issues, the last place you want to look for solutions is on Facebook. This may sound obvious, but if you get attached or addicted to Facebook, you just might end up being disillusioned with it and expect more than what you can get. Facebook may also not rake in the large volumes of clients many blogs promise you it can, you may join and put everything you can only to be met with deafening silence. Before you embark on Facebook marketing and promoting your services as a work at home freelancer or entrepreneur, analyze your opportunities in regard to your niche and who or where potential clients are.